I would sincerely like to thank the Pleasanton Express for the opportunity to bring information to the citizens of Pleasanton through this weekly column. I’m looking forward to sharing with you news about your city government. First and foremost, I would like to invite any citizen of Pleasanton to attend our City Council meetings, held on the first and third Thursday of each month and beginning at 5:30 p.m. at City Hall. I encourage you to get to know your Mayor as well as your district council member. For those who cannot attend, you can view the meeting, which is live streamed, on the city’s web page. And for your convenience, I have updated the council agenda and placed the citizen comments towards the end of the meeting for those who wish to speak and need a little more time to get to the meeting. I hope that you will become involved in your city government. To be successful, we need to work together and I look forward to visiting with you each week in this column. mayor@pleasntontx.gov. This email will come directly to me. 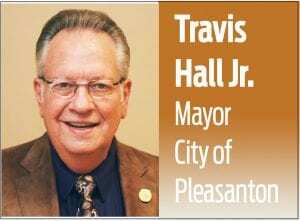 Best regards … Travis Hall Jr.
Travis Hall is the Mayor of Pleasanton. 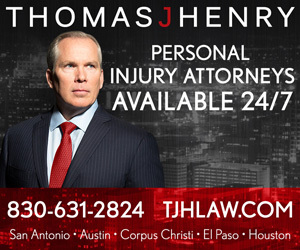 You may E-mail him at mayor@pleasntontx.gov.